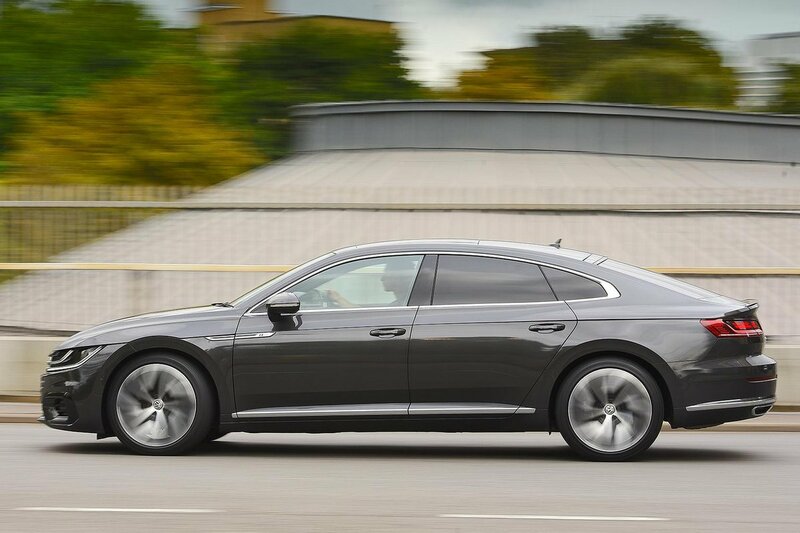 Volkswagen Arteon Interior, Sat Nav, Dashboard | What Car? Entry-level Elegance trim gets you electric adjustment for the driver's seat backrest recline and four-way lumbar adjustment, along with manual adjustment for everything else, including height. Multi-way electrically adjustable seats are an option. The seats themselves are quite flat and wide, but give good support and should keep you twinge-free on a long trip. The Arteon's dashboard is taken straight from the Passat. That’s a good thing, because it has logically placed buttons and switches that make it easy to use. 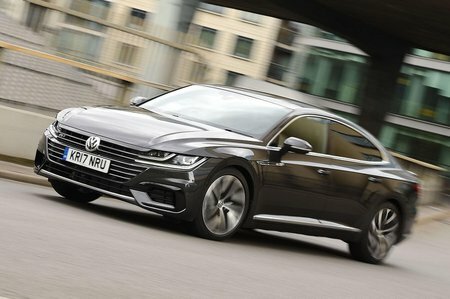 And Volkswagen has made an effort to jazz up the Arteon's interior with ritzy dashboard trims and contrasting stitching on the seats. However, with the same heater controls that you get in cheaper Skoda hatchbacks, it can’t quite hope to win the quality battle with Audi. That’s not to say it feels flimsy – if anything, it’s better made than the Jaguar XE's interior. Visibility isn't bad for a coupé-like car and no worse than its rivals; fine forward, but hampered slightly backwards by the narrow rear window and thick, steeply angled rear pillars. Front and rear parking sensors are standard, though, and a rear-view camera is an option. The Arteon's infotainment is pretty smart. The standard system has an 8.0in touchscreen with crystal-clear graphics. Being a touchscreen, it’s not as easy to use when on the move as systems with rotary dial controllers, such as Audi’s MMI or BMW’s iDrive, but the on-screen icons are a decent size and the menus easy to work through. It also includes Apple CarPlay and Android Auto smartphone mirroring as standard. You can upgrade to the Discover Pro system with a 9.2in touchscreen and gesture control, but there’s really no need because the standard unit is so good. VW’s Active Info Display is standard. This 12.3in TFT screen replaces analogue instrument dials with digital representations. These can be configured to clearly show lots of additional information, including sat-nav maps and phone contacts. You can also specify a head-up display. However, this reflects onto a piece of plastic rather than the windscreen, so isn’t that clear.